The Tweed Coast is blessed with scenic hinterland and beautiful beaches, making for your next ideal getaway, and our stunning Cabarita Beach resort puts the whole Tweed Coast in the palm of your hand. When the sun’s out there’s nothing better than heading to the beach – swimming and surfing at it's best! The Tweed Coast offers more than one picturesque beach to enjoy, all located moments from our resort. Located on the doorstep of our resort is Cabarita Beach, a beautiful east-facing beach offering a wide stretch of golden-white sand adjacent to shimmering blue ocean. Cabarita Beach is renowned for its surfing as well as year-round festivals and events, such as the annual Greenback Tailor Fishing Competition which attracts hundreds of competitors from across the region. The scenic backdrop of Cabarita Beach features relaxing tropical greenery, providing a truly picturesque spot for families and couples to unwind. On the beaches northern edge is Norries Headland, offering spectacular views across the beach and far into the ocean. 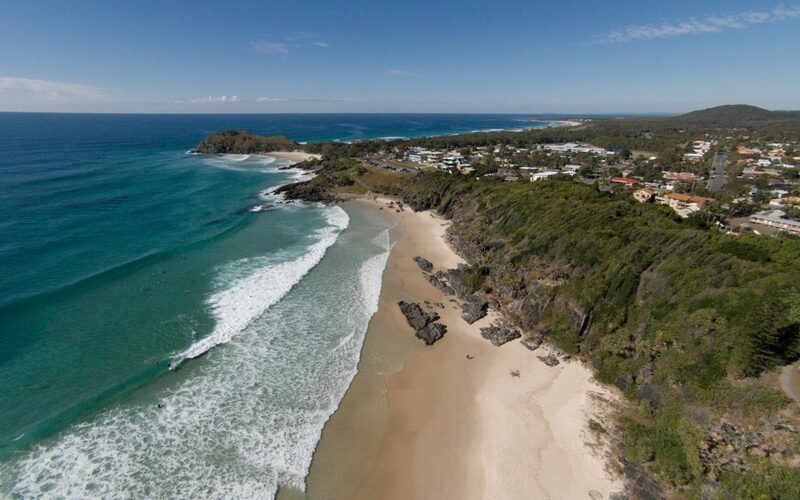 Bring a picnic to enjoy on the sand, or soak up the sun on your surfboard – Cabarita Beach is one of the Tweed Coast’s most attractive beach destinations. Another must-visit beach on the Tweed Coast is Kingscliff Beach. This intimate beach is perfect for a quiet day with sea and sand, also well-known for it's surf breaks and reef break. It’s also just a short distance from Cudgen Creek, a quiet spot where you can set up camp on the grass and then head down to the water when you need to cool off. Cudgen Creek also offers numerous shaded spots to relax, making it a great place to have a picnic. Other beaches to look for on the Tweed Coast include Casuarina Beach, Maggies Beach, and Bongangar Beach. There’s no better place to spend your next getaway!